As we approach the new year, we wanted to share the latest from Whole Foods Market – who announced their top 10 trends for 2017! This year’s predictions came from Whole Foods Market’s experts and industry leaders who source items and lead trends across the retailer’s cheese, grocery, meat, seafood, prepared foods, produce and personal care departments, and spot trends for the retailer’s more than 465 stores. Wellness Tonics – the new year will usher in a new wave of tonics, tinctures and wellness drinks that go far beyond the fresh-pressed juice craze. The year’s hottest picks will draw on beneficial botanicals and have roots in alternative medicine and global traditions. Buzzed-about ingredients include kava, Tulsi/holy basil, turmeric, apple cider vinegar, medicinal mushrooms (like reishi and chaga), and adaptogenic herbs (maca and ashwagandha). Kor Organic Raw Shots, Suja Drinking Vinegars and Temple Turmeric Elixirs are just a few products leading the trend. Products from Byproducts – Whether it’s leftover whey from strained Greek yogurt or spent grains from beer, food producers are finding innovative – and delicious – ways to give byproducts new life. Eco-Olea is using water from its olive oil production as the base for a household cleaner line; condiment brand Sir Kensington’s is repurposing leftover liquid from cooking chickpeas in a vegan mayo; and Atlanta Fresh and White Moustache are using leftover whey from yogurt production to create probiotic drinks. Coconut Everything – (this is my fav! I love anything coconut) Move over coconut oil and coconut water – coconut flour tortillas, coconut sugar aminos and more unexpected coconut-based products are on the rise. Virtually every component of this versatile fruit-nut-seed (coconuts qualify for all three!) is being used in new applications. The sap is turned into coconut sugar as an alternative to refined sweeteners; the oil is used in a growing list of natural beauty products; and the white flesh of the coconut is now in flours, tortillas, chips, ice creams, butters and more. New picks like coconut flour Paleo wraps, 365 Everyday Value Fair Trade coconut chips and Pacifica Blushious Coconut & Rose Infused Cheek Color demonstrate coconut’s growing range. Japanese Food, Beyond Sushi – Japanese-inspired eating is on the rise and it doesn’t look anything like a sushi roll. Long-celebrated condiments with roots in Japanese cuisine, like ponzu, miso, mirin, sesame oil and plum vinegar are making their way from restaurant menus to mainstream American pantries. Seaweed is a rising star as shoppers seek more varieties of the savory greens, including fresh and dried kelp, wakame, dulse and nori, while farmhouse staples like Japanese-style pickles will continue to gain popularity.The trend will also impact breakfast and dessert, as shoppers experiment with savory breakfast bowl combinations and a growing number of mochi flavors like green tea and matcha, black sesame, pickled plum, yuzu citrus and Azuki bean. This is playing out in products like 365 Everyday Value® Sweet Sabi mustard, Republic of Tea’s new Super Green Tea Matcha blends and recipes like Coconut Mochi Cakes. Creative Condiments – From traditional global recipes to brand new ingredients, interesting condiments are taking center stage. Once rare and unfamiliar sauces and dips are showing up on menus and store shelves. Look for black sesame tahini, habanero jam, ghee, Pomegranate Molasses, black garlic purée, date syrup, plum jam with chia seeds, beet salsa, Mexican hot chocolate spreads, sambal oelek or piri piri sauce, Mina Harissa, and Frontera Adobo Sauces (Ancho, Chipotle and Guajillo varieties). Rethinking Pasta – Today’s pastas are influenced less by Italian grandmothers and more by popular plant-based and clean-eating movements. Alternative grain noodles made from quinoa, lentils and chickpeas (which also happen to be gluten free) are quickly becoming favorites, while grain-free options like spiralized veggies and kelp noodles are also on the rise. That said, more traditional fresh-milled and seasonal pastas are having a moment too, which means pasta is cruising into new territories with something for everyone. Purple Power – Richly colored purple foods are popping up everywhere: purple cauliflower, black rice, purple asparagus, elderberries, acai, purple sweet potatoes, purple corn and cereal. The power of purple goes beyond the vibrant color and often indicates nutrient density and antioxidants. Back to the Roots Purple Corn Cereal, Jackson’s Honest Purple Heirloom Potato Chips, Que Pasa Purple Corn Tortilla Chips, Love Beets and Stokes Purple Sweet Potatoes are all examples of this fast-growing trend. On-the-Go Beauty – “Athleisure” is not just a fashion trend; the style is now being reflected in natural beauty products, too. With multitasking ingredients and simple applications, natural beauty brands are blurring the line between skincare and makeup products, and simplifying routines by eliminating the need for special brushes or tools. Trending products include Mineral Fusion 3-in-1 Color Stick, Well People Universalist Multi-Stick and Spectrum Essentials Organic Coconut Oil Packet. Flexitarian – In 2017, consumers will embrace a new, personalized version of healthy eating that’s less rigid than typical vegan, Paleo, gluten-free and other “special diets” that have gone mainstream. For instance, eating vegan before 6 p.m., or eating paleo five days a week, or gluten-free whenever possible allows consumers more flexibility. Instead of a strict identity aligned with one diet, shoppers embrace the “flexitarian” approach to making conscious choices about what, when and how much to eat. Growing demand for products like 365 Everyday Value Riced Cauliflower (used for clean-eating favorites like gluten-free pizza crusts), Epic Bison Apple Cider Bone Broth and Forager Cashew Yogurt point to growth in this clean-eating category. Mindful Meal Prep – People aren’t just asking themselves what they’d like to eat, but also how meals can stretch their dollar, reduce food waste, save time and be healthier. Trends to watch include the “make some/buy some,” approach, like using pre-cooked ingredients from the hot bar to jumpstart dinner, or preparing a main dish from scratch and using frozen or store-bought ingredients as sides. Fresh oven-ready meal kits and vegetable medleys are also on the upswing as shoppers continue to crave healthier options that require less time. 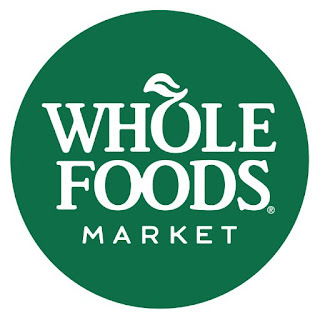 Whole Foods Market’s Freshly Made video series highlights the kinds of recipes and ingredients shoppers are seeking.